Two years before the first match of Euro 2012, no one talks about removing Poland the right to host this great football event. Polish organizers are happy. During the Monday’s news conference they proudly quoted the words of the head of UEFA, Michel Platini said at the beginning of June: – Preparations in Poland run properly and there are no great risks. – This is a great satisfaction for us – said Adam Olkowicz, head of the Euro2010 company established by UEFA, which is responsible for preparation and managing the sport part of the championships. However, he added that much is still to be done and our rival is now the running time. – The process of preparations went from the conceptual and planning stage conducted in 2007-2008 and stage of the implementation of projects in 2008 to the most important one – the executive stage – said Marcin Herra, president of the state company PL. coordinating preparations for the Euro2010 in Poland. Preparations go full steam ahead. – Everyday, several thousand of people work on the construction of stadiums. There are no risk. Also, Wroclaw, which change the contractor is already on an even keen – ensured Herra. The stadium in Poznan will the first to be ready. First party here is planned for September. The stadium in Gdansk will be ready in January 2011. In Wroclaw the stadium will be ready in the middle of next year. – There is a tight deadline, but real – says the President of PL.2012. Also in mid-2011, the National Stadium in Warsaw will be ready. The first event is scheduled here for July next year. 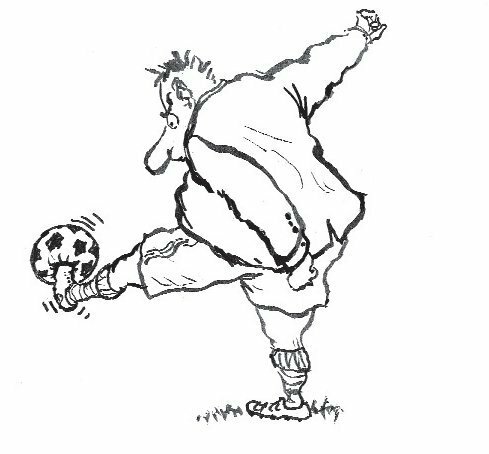 And on 6 September the match between our representation and German representation will be held. – Director of Euro 2012 on behalf of UEFA Martin Kallen, who recently visited four stadiums, is impressed with the positive progress of work – says Adam Olkowicz. Also, other investment projects are being implemented very quickly. – We control a total of 242 investments, including 46 that we consider crucial – said Marcin Herra. Among them there are great road investments like the A2 motorway connecting Berlin with Warsaw or the motorway connecting Gdańsk with A2. There are also road connections in cities to facilitate the access from airports to stadiums. What is very important also is modernization of the railway route between Gdańsk and Warsaw. At airports new terminals, taxiways and parking places for airplanes are prepared. – The works are in progress and should be completed before the championships. We are building everything not only in view of the Euro event, but also for the future – said President Olkowicz. There are no problems with the hotel base. Soon, accommodation centers in which teams will prepare for matches will be selected. Such a center must include a training base and four- or five-star hotel. After holidays in Europe the UEFA official catalogue of center offers will be distributed. 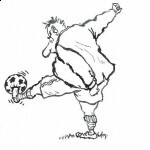 Euro2012 company want to have at least 20 places in the catalogue. The list of the tournament sponsors is quickly filling up. For the first time there will be three types of sponsors. For now, UEFA signed agreements with six global sponsors: Carlsberg, Castrol, Coca-Cola, Hyundai-Kia, Adidas and McDonald’s. There will be 10 sponsors and national sponsors will take part – four from Poland and four from Ukraine. The agreements will be signed after holidays. Regional sponsors will be the new types of sponsors. The cities that organize the tournament will have influence on the choice of the sponsor. UEFA wants to have two sponsors in each city. Cities negotiate to increase the number. The money from regional sponsors are to help them in preparations for the tournament. The organizers are also preparing to recruit volunteers. – Many universities have already expressed willingness for that. Young, smiling, multilingual volunteers will help us build the image of Poland as a modern, open and hospitable country worth visiting even after the championships – said President Herra. In November or December the official mascot of the championships will be choosen. The first championship match will start on 8 June 2012 at 18:0 (6pm) at the National Stadium in Warsaw. It will be preceded by ceremony of opening the championships. I want to be a volunteer. Please send me more information about it! Thank you in advance! hello! 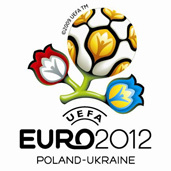 !i’m interested for being a volunteer in Euro 2012! I would appreciate if you could to help!what i have to do to participate?